A Drum Circle has multiple applications Team Building, Wellness, Education, leisure, Celebrations, Spiritual, Personal Growth and Health. A Drum Circle is not a music class, it is not batucada, it is not a rehearsal or a concert. A Drum Circle is a group of people placed in a circle, with percussion instruments where a facilitator shapes and directs the music that is generated at the moment. 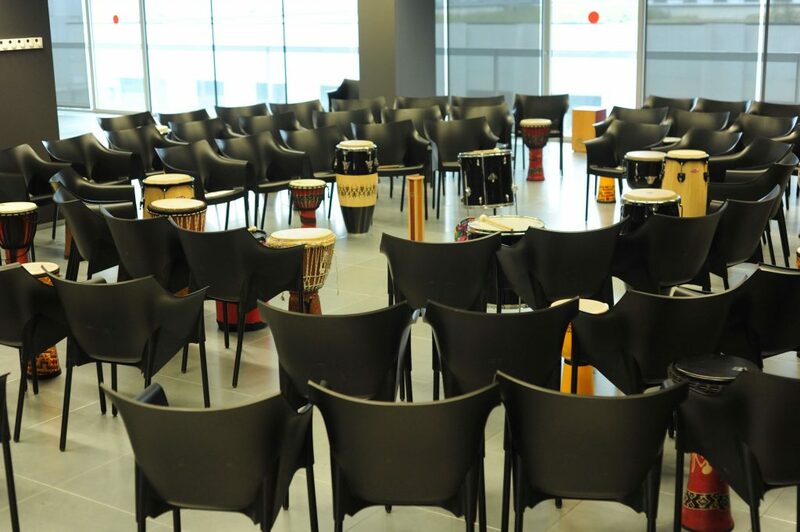 A Drum Circle is a space to play and have fun co-creating as a team. Depending on the objective we used different facilitation dynamics. 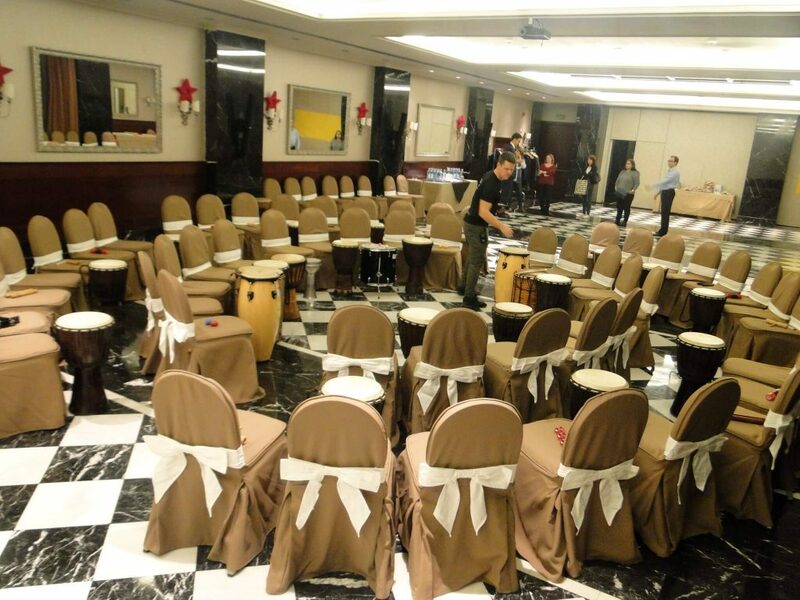 Drum Circles allow working by playing points such as: leadership, group efficiency, communication, motivation with direct outcome on wellbeing and productivity. In a Drum Circle the contribution of each person to the group make that the whole is greater than the sum of the parts. Helps to cooperate, listen, respect, complicity and communication between participants. Music is a Universal language that transcends beyond the personal, organizational or cultural level bringing us together as ONE. Awareness through the feedbacks and debriefings in the games in the Drum Circle allows us to work fundamental values of any organization.